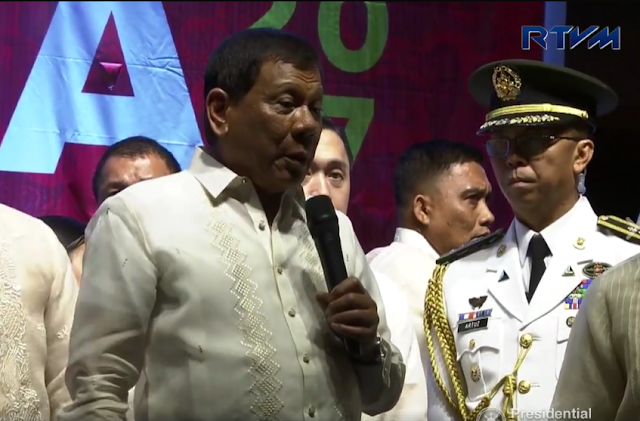 President Duterte spoke to protesters about the Martial Law he issued as well as the recent attempt on his life when his Presidential Security Group (PSG) was ambushed and 4 PSG troops were wounded. He also discussed about the possibility of peace talks provided the other party commits to peace and stop the ambush or assassination attempt on his life. I don't ever recall any previous Philippine President facing protesters like this, Duterte is really one of a kind. 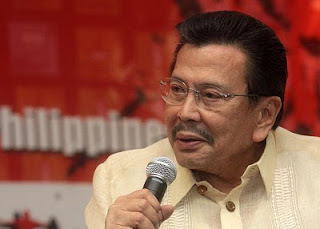 Manila Mayor Joseph "Erap" Estrada initiated a clean-up drive of Manila Bay where he and other officials are seen riding on a boat with fishing nets to clean up the garbage in the water. What happened however was that the particular part of the water where they were was sort of clean. So for publicity, he had his people throw garbage from another boat into the water so there's garbage for him and his officials to clean-up during their photo op. There's even people in the water to spread the garbage to make it look "nicer" on the photo. Watch the bopols (stupid in Filipino) move of a Filipino politician. It's amazing what politicians do for publicity. 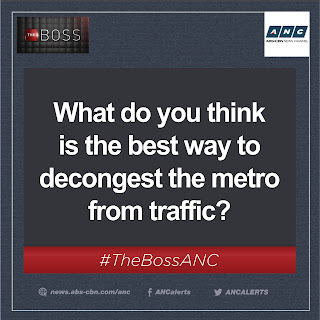 Do you have any photos or videos of bopol moves your politicians? The Baylor University Men's Choir flying on Emirates Airlines gave an impromptu performance of "Da Coconut Nut" composed by Filipino musician Ryan Cayabyab on their flight home from Kenya. Singing and dancing, the 75-member of the Baylor University Men's Choir performed Ryan Cayabyab's song "Da Coconut Nut" to the delight of the passengers and crew. "Da Coconut Nut" was popularized by Ryan Cayabyab's group Smokey Mountain back in the 1990's. The choral arrangement of the song has become popular and performed by choirs around the world. The video posted by Emirates on Facebook has been viewed over 2.5 million times. It's a really great performance and I checked out their actual performance of "Da Coconut Nut" on Youtube. It's not very clear but it's great nonetheless. If you grew up in the late 70s, you probably got your daily dose of afternoon cartoons like the very popular Voltes V, Diamos, Mekanda Robot, U.F.O. Grendaizer and of course Mazinger Z. 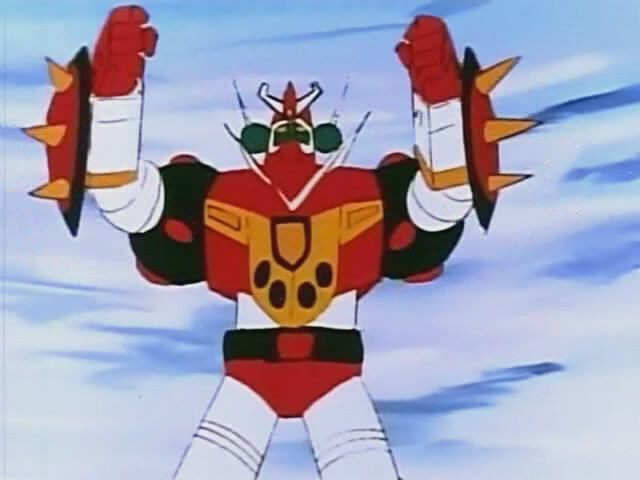 These Japanese Robot Cartoons more popular known as Mecha were the daily cartoon fix of kids of the time. The cartoons are shown Monday to Friday at 6pm and I remember I couldn't wait to get home from school to watch these cartoons. I would not do any homework when I got home until I finish watching these shows. In fact, they were so popular and their storyline about good vs. evil was so compelling that former President Marcos banned them altogether for fear that it could lead people to be influenced to start a revolt against him. Former Mexican President Vicente Fox posted a video on Youtube addressed to Donald Trump about building a wall on the US-Mexico border and it's kind of funny. Resorts World Manila, a massive leisure and casino complex near the Ninoy Aquino International Airport is in lockdown after reports of explosion and gunfire. ISIS has claimed responsibility for the attack and at least 25 people have been reported injured from the attack. Police however said there was no indication the attack was terror-related but rather a brutal casino chips robbery. Here is report from RT. Here is the report from CNN. CNN has fired Kathy Griffin after her gruesome anti-Trump photo shoot. Kathy Griffin is the co-host of CNN's annual New Year's Eve Program. 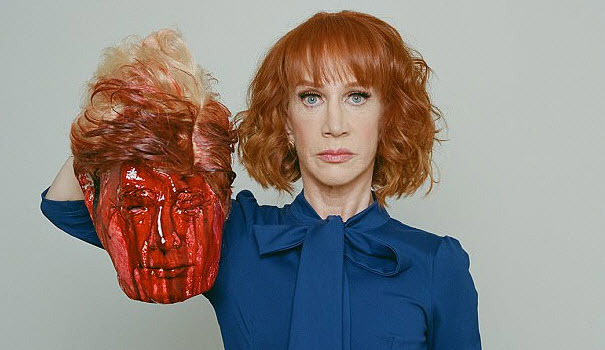 The photo was taken by celebrity photographer Tyler Shields who is known for provocative photos features Griffin holding a blood-soaked head of President Trump. And of course, President Trump also reacted about the photograph this morning. This is the photo at Kathy Griffin took. Kathy Griffin has since apologized for the photo taken by provocative celebrity photographer Tyler Shields. U.S. President Donald Trump called Philippine President Rodrigo Duterte on April 29, 2017 and their conversation revolved around the problem with North Korea and with Kim Jong Un's nuclear ambition. Pentagon officials however are in shock after a transcript of their conversation was released on May 23, 2017. 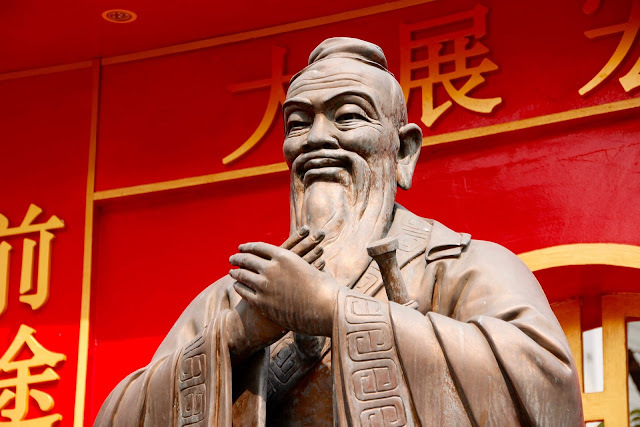 Pentagon officials are very careful about discussing the movement of their submarines as is it their military's belief that their stealth is the key to their mission. In their conversation, President Trump told President Duterte that the U.S. has two nuclear submarines in the area. Trump said: "We have two submarines -- the best in the world -- we have two nuclear submarines -- no that we want to use them at all." The Philippine Drug Enforcement Agency (PDEA) recently released the latest stats on their Anti-Drug campaign. 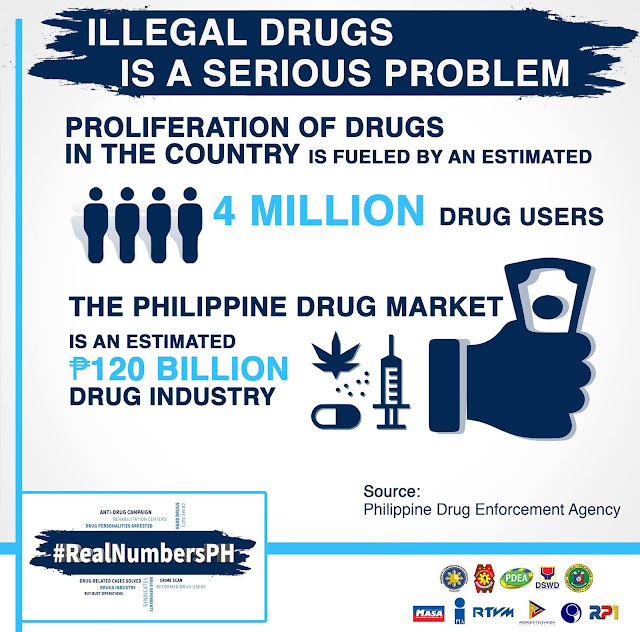 They are using the hashtag #RealNumbersPH to show that President Duterte's War on Drugs is effective in reducing the number of crimes. Part of the stats they released is to address the question about EJK or extra-judicial killing. But before we go to the details. Let's look at PDEA's stats about illegal drugs in the Philippines. There are an estimated 4 million drug users in the country and the Philippine illegal drug market is estimated to be a P120 Billion industry. Of those 4 million users, 1,266,966 have surrendered. This is estimated to be 26.45% of the total drug market. 88,940 of those who surrendered are drug pushers. Reducing the number of drug users and pushers have resulted in a 28.57% reduction in crime from July 2016 to March 2017. There was a fire at Yakimix at SM Mall of Asia (MOA) yesterday at around 5:45pm. Not much detail on how the fire started, but there were reports of a few people getting injured. The best thing to remember in an emergency is not to panic and clear the area immediately so other people are able to get out safely. I just saw this documentary about illegal gold mining in the Philippines using children to look for gold in underwater gold mines. Children breathe underwater using only a thin pipe connected to an air compressor. They go as deep as 30 feet underwater, surrounded by rock in the pitch black darkness of the water. "I'm afraid, if the earth collapses, I will get buried underneath" says the teenager. Watch how they risk their lives to earn earn P500 to P1,000 a day.